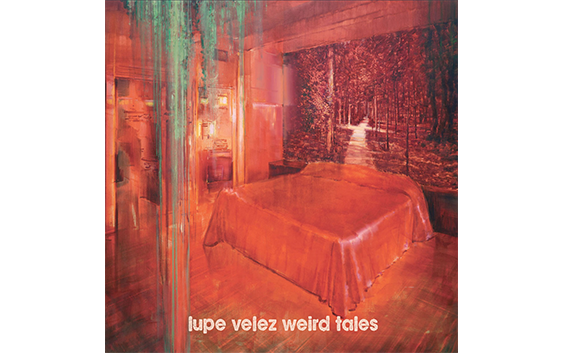 It matters a lot to me to introduce “Weird Tales”, the new album by Lupe Vélez, Italian band from Leghorn, published on Area Pirata Rec. (Pisa); a garage-rock record to be listened in one go. Registered with a very lo-fi approach, right from the first notes emerge 70s punk textures, just to clear up by which musical field the leghornese band is inspired. I love this album. I love the atmosphere that is created when I press play, I love the passion of the instruments that intersect with each other, I love the vintage flair it is characterized by, I love its energy, I love Stefano Ilari’s voice. This works jumps between charged tracks like “I’m In America” or “What You’re Waiting For” and softer sounds like “Asleep” and “Worms”. As far as I’m concerned, all the tracks are beautiful and unusual, things you don’t hear much nowadays; my favorite one is “Next Mistake”. In a work arranged in this way, each instrument has a leading role: each note, each chord, each arpeggio or chamber beat plays as it would communicate something personally. I suggest this album to the nostalgics of this genre, while for the “newbie” this can be a pleasant discovery. Listen to the new songs by 40127 Skinheads!